Confirmation sent message – edit, delete or agree with standard confirmation message user will see right after subscription, when email with confirmation link will be sent. To enable subscription with Constant Contact – tick Constant Contact mail service for your Membership Subscription and click on “Settings” the button “Authorise in Constant Contact” will appear. Login to your Constant Contact account and Lists for subscribe will show up. Choose the ones you need. 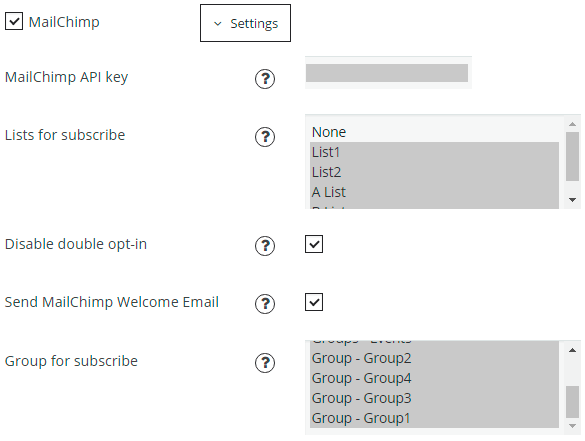 Disable double opt-in – allows you to create subscriber right after his/her subscribing to your list. After Subscription Settings will be adjusted, don’t forget to save changes! For Constant Contact list, subscription will be confirmed automatically and user will see subscribe success message. 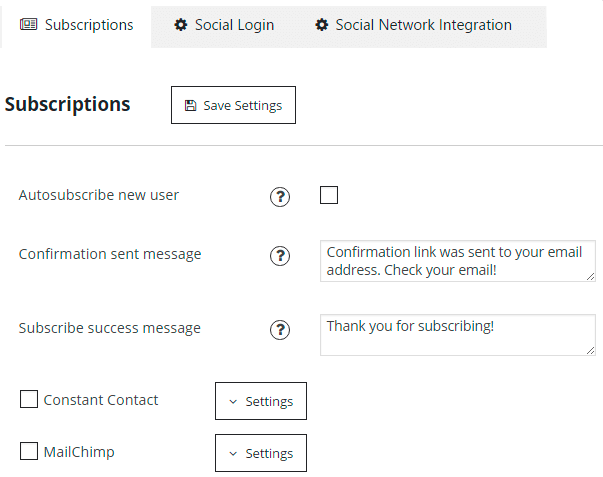 For MailChimp – user will see Confirmation sent message and get an email to confirm the Subscription. 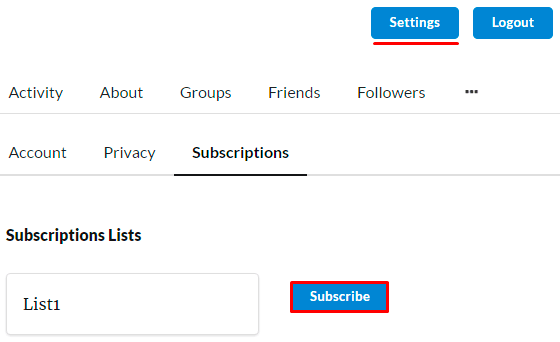 In case user is already subscribed to the list and decides to unsubscride, he/she can click Unsubscribe button in front of the needed list.